The theme song for this year’s edition of the Headies awards (formerly Hip Hop World Awards) premiered today on Lagos leading urban radio station; Beat FM 99.9. Produced by Samklef, the 3 minutes 43 seconds track officially debuted today on BeatFM’s ‘The Morning Rush’ show with Olisa and Oreka. Making the list of talents to laud and reinforce the message of the theme for this year; “Standout| Surpass| Break from the Norm” are Waje, Ill Bliss, Ice Prince and Wizkid. Also, according to Black House Media, hosts for this year’s Headies awards ceremony; Eldee and Rita Dominic joined Olisa and Oreka on the show to chat and entertain questions from fans. 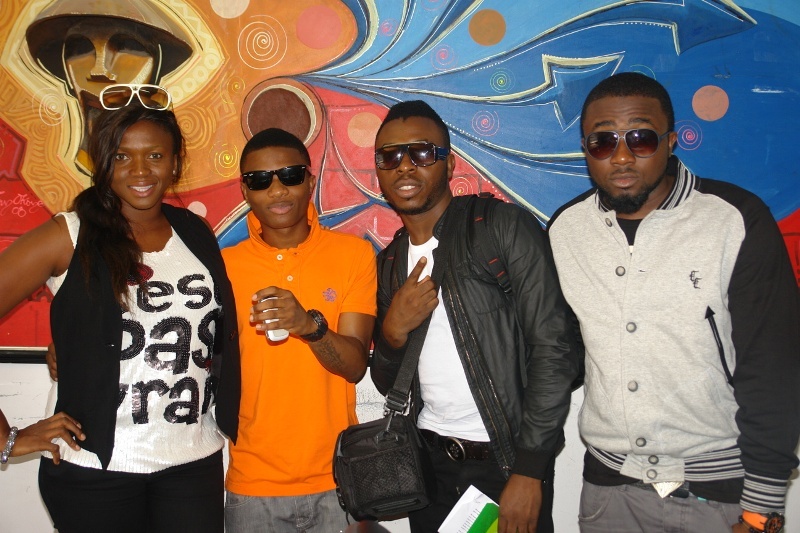 The premier of the much awaited theme song on Beat FM today and the hosts visit officially kicked off The Headies 2011 in grand style.